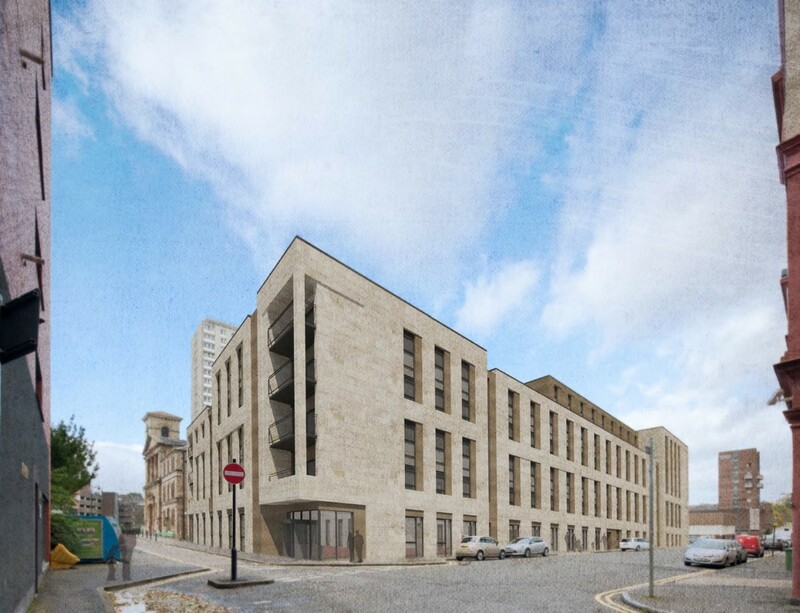 Mosaic Architecture & Design have filed revised plans to build a 286 bed student housing development at Dunblane Street, Glasgow, extending a gold rush to provide purpose built accommodation in the city. 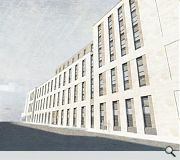 Conceived as a rectangular urban block alongside the B-listed Piping Centre and A-listed Scottish Ambulance building the brick clad structure will offer accommodation for the Royal Conservatoire of Scotland around two landscaped courtyards offering amenity space for residents. 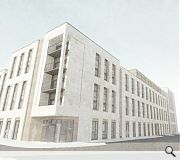 Accommodation will range from a number of exclusive ‘garden studio’s’ on the lower ground floor overlooking the courtyard to five bedroom cluster flats with massing stepping back from the fourth floor to introduce a number of roof terraces. I like this well mannered, contextual design. 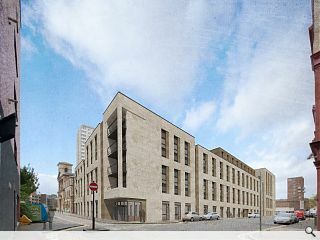 Well done Mosaic.